My daughter recently pointed out to me that I was fortunate to be the recipient of most of the feedback from the communities in East Africa that we help through the CanAssist African Relief Trust. She’s right. 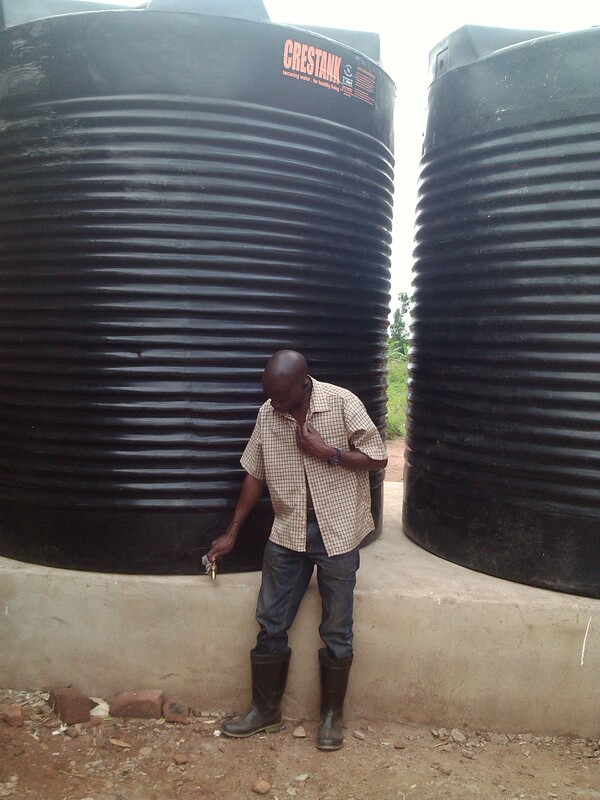 How can I share that with other supporters of CanAssist? I do consider myself lucky to have been able to visit the schools, clinics and communities that have been supported, in one way or another, by the CanAssist African Relief Trust…or rather by the donors who give to CanAssist to keep our activities afloat. One of the appeals to our donors is that we pay no Canadian salaries, travel at our own expense and therefore every donated dollar is spent by Africans in East Africa. The cost to us as volunteer travellers, however, is repaid ten times over in the wonderful experience of interacting with our friends in Africa. Recently a group of Canadians who are supporters of CanAssist visited the B.L.K. 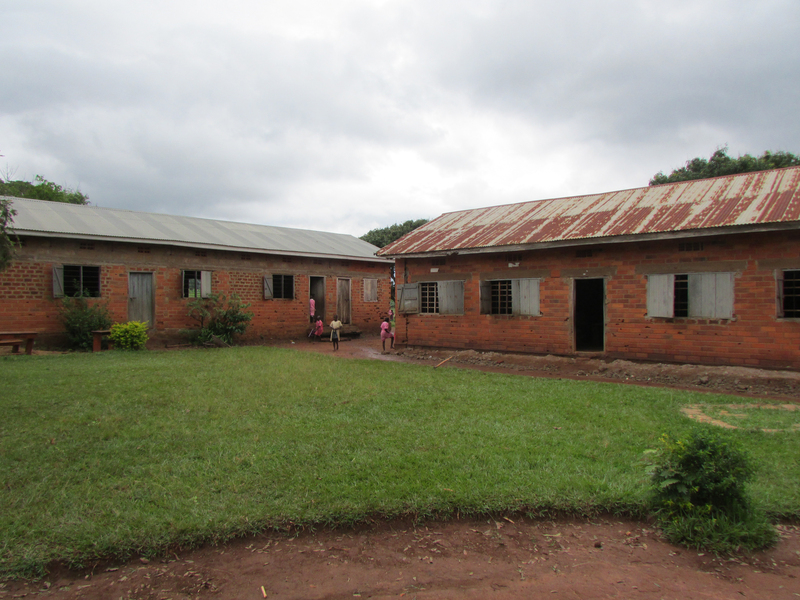 Muwonge Secondary School in a remote, small Ugandan town called Kyabazaala. 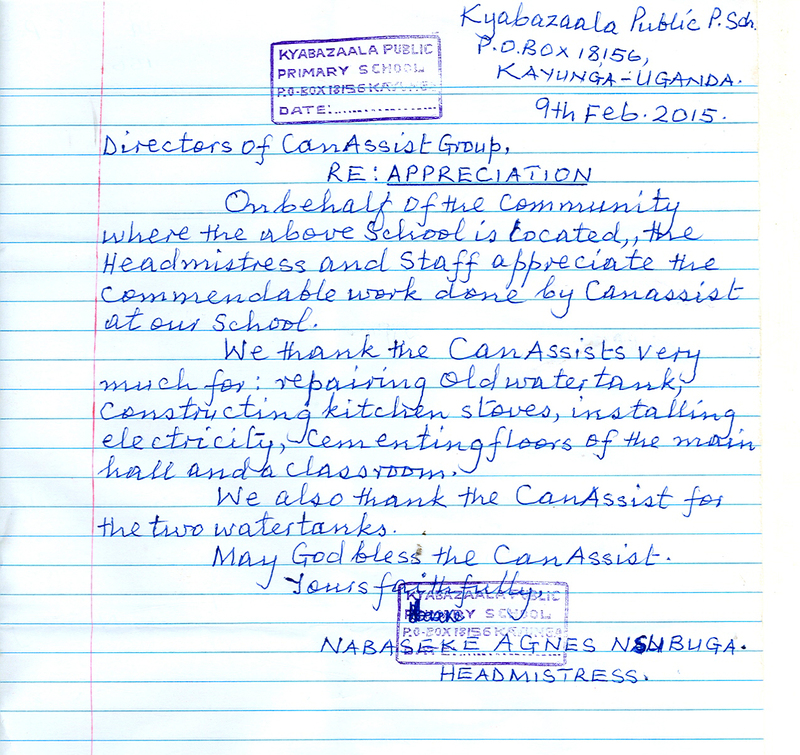 One of the students at the school sent back a letter of thanks to CanAssist supporters. I thought it only appropriate that I share this. I hope you find it as motivating as I do to keep doing what we are working toward to help communities in Kenya, Uganda and Tanzania with their infrastructure needs. Students at the B.L.K. 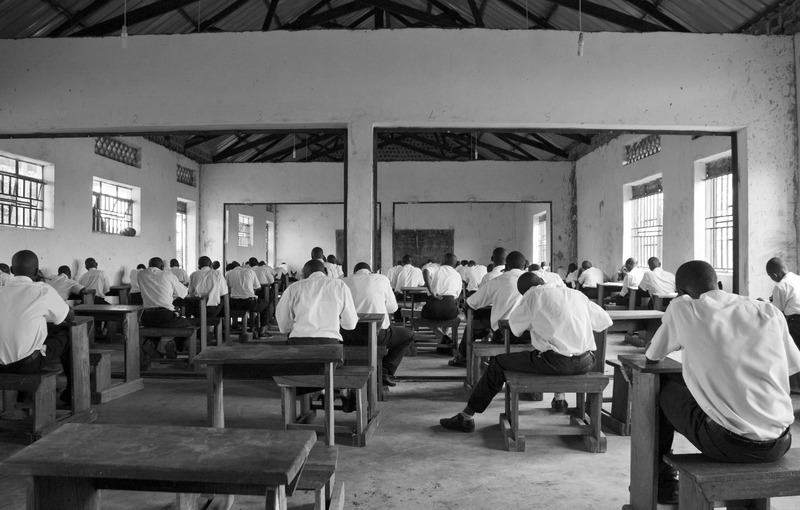 Muwonge Secondary School in Kyabazaala, Uganda write exams in a building that was constructed with funding from the CanAssist African Relief Trust. We may have been busy celebrating Canada Day in Canada but would you imagine that it is a special day in some African communities as well? I received some great pictures from the Hope School in Kenya this week. This school is the one I blogged about last week – the Canada Day Challenge. I spoke with the Director of the school on the weekend and advised him of the generous donation from the Sasamat foundation towards classrooms at the school and he was ecstatic. 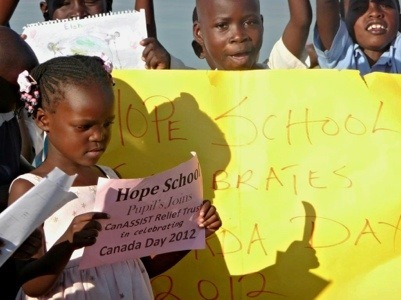 Children at the Hope School in Mbita Kenya, celebrating Canada Day 2012. On Monday the children gathered to celebrate their Canadian sponsorship and express appreciation. With home-made signs they gathered for juice and acknowledgement of the help their Canadian friends have offered. But there are Canadian flags flying elsewhere in East Africa as well, thanks to CanAssist. 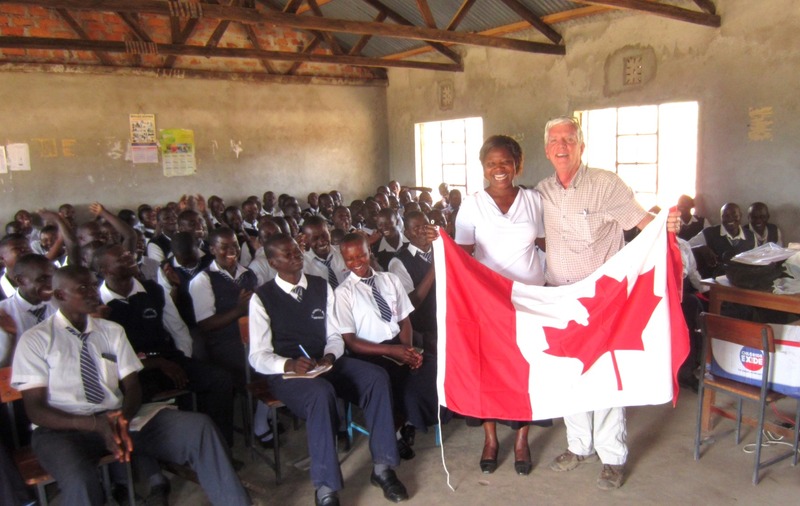 The St Gorety Secondary School receives a Canadian Flag, and support for two new classrooms at the school. When I visited the St Gorety High School in Nyatike District of Kenya last year, I took with me a flag for the school – one that was sent by Virginia Puddicombe, a teacher at KCVI in Kingston. Virginia also sent along photographs and letters from Canadian students to their counterparts in Kenya and the Africans have sent greetings back. A kind of pen-pal relationship has begun. We hope that, in this digital age, some face-to-face interaction can happen through Skype and the Internet. While we proudly celebrate Canada here, there are people around the world who also pause to be grateful for the generosity and support that Canada and Canadians offer to them. P.S. We have raised about half the $2500 necessary to get the Sasamat promise of another $5000 for the Hope School. If you have not yet takent the opportunity to help us reach this goal in July, more information about how to contribute is available on the CanAssist Hope School web page. The children at Hope School celebrate Canada Day in appreciation of the generosity of their friends in Canada who have supported the school.